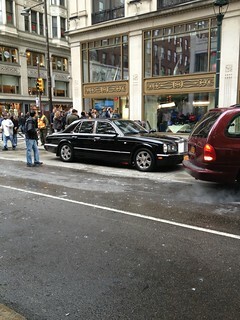 On the set of Dead Man Down filming in Philadelphia on May 1-4 and 7. Walnut Street was transformed into Irving Place in NYC and Colin Farrell, Terrence Howard, Dominic Cooper, Wade Barrett and Lous De Silva Jr. were running around being mobsters/shooting at eachother. It was fabulous!